Viron provides is clients with the highest quality products available in the market. For details please see our Products page. SolarWorld USA is pleased to announce that the Viron Consulting Group has been designated an authorized commercial installer of its solar PV systems. SolarWorld is one of the largest solar panel manufacturing firms in the world, with production facilities in the United States and Europe. 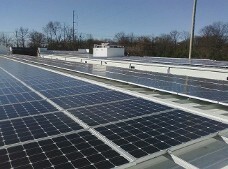 All of these panels are manufactured by SolarWorld at its plants in California and Oregon. As an authorized installer, Viron benefits from the technical experience of SolarWorld's engineering staff through specialized training programs. This partnership between Viron and SolarWorld ensures customers are provided with the highest quality solar energy products and services. 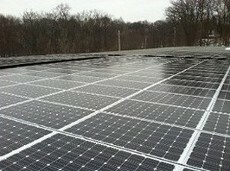 Currently, Viron has installed approximately 1.7MW of panels at several self storage facilities and other sites throughout NJ. In order to view details on each of Viron's projects, click here.